CF Flanges - Hositrad Holland B.V.
Hositrad offers Conflat flanges from CF16 to CF350 in both rotatable and non- rotatable versions. 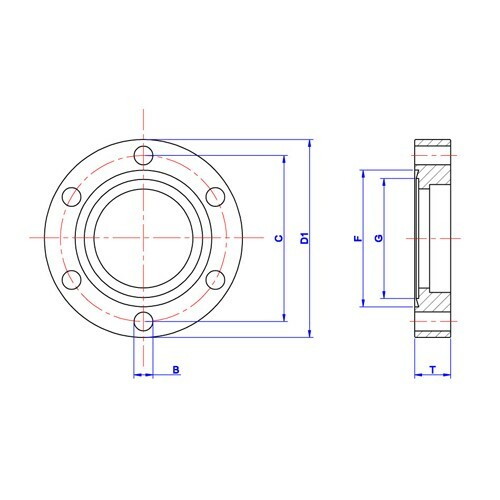 CF flanges are compatible with other manufacturers’ standards. Available materials for CF flanges are in SS304, 304L, 304 ESR, 316L, 316LN ESR. CF flanges utilize an OFHC (Oxygen Free High Conductivity) copper gasket for effective seal up to 1x-11 mbar. The copper gasket can sustain up to 450°C. However, reuse of OFHC copper gaskets is not recommended. 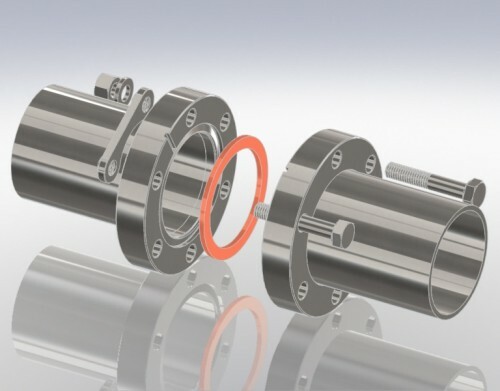 For transition from UHV to HV, Hositrad offers complete range of adaptors for CF flanges to KF or ISO flanges. Products with weld joins are 100 percent helium leak tested to assure leak free. To ensure the cleanliness of Hositrad products ready for onsite use, all part are ultrasonically cleaned with de- ionized water, and packaged. Each bag is affixed with a label identifying the component’s part number.